It is pretty much accepted that all businesses should have some form of a CRM system. However, many of these businesses are still far from maxing out the benefits that a CRM system can bring. The biggest gap that I see when reviewing customers’ systems, is that they could immediately get a very large return on their investment from integrating their CRM system with ERP. For many businesses, information is first entered into some form of a quoting process whether it’s hand written sales order, quoting system, word templates, etc. The sales person then needs to enter the new customer and sales order into a Sales Management System of some kind (Excel, CRM Database, or even an electronic or hard copy filing system). Next, an admin typically takes that new customer and sales order and enters it into an Accounting or Billing system. All the while the sales person has lost complete visibility and cannot verify on his own that the sales information was entered accurately, if it at all. Finally, when a change inevitably occurs to the customer information in either system, dual entry is then required again to keep both systems up to date, or even worse, we see all the time that the other system is not updated at all. After it’s all said and done, the same information may have been entered as many as 3 times by the time the customer receives the invoice, with next to no visibility across business units. 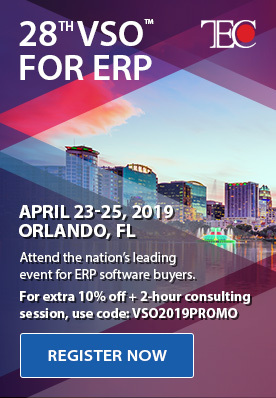 Needless to say, this is a very tiring, expensive, and inefficient system, however it is still very common within the CRM and ERP community today. Customer/sales engagement information entered one time into Dynamics CRM/365. The integration then automatically transfers data from Dynamics CRM/365 to GP immediately, eliminating double entry and ensuring complete accuracy. Information is now available immediately within GP to generate invoices for the customer, which can then be automatically tied back into Dynamics 365 and related to the customer/sales order. And finally, should a change occur in the future within either system, the other is automatically updated immediately. In summary, the primary benefits obtained from building an integration between Dynamics 365 and Dynamics GP are increased visibility, accuracy, efficiency, and ROI. Data is entered 1 time, and is immediately pushed into the integrated systems. In this scenario, you don’t have to worry about your data being entered correctly as it moves through the system, as it is automatically integrated and no duplicate entry is required, eliminating the user error that goes along with re-entering this data. Obviously, this greatly increases efficiency as well by significantly reducing the amount of effort and hours required to maintain these systems, which is where we see our customers immediately see the return on their investment. Long term, you can expect to see this have a positive increase in sales as well. With an integrated system, you have now empowered your sales force by providing them the most up to date data all within one familiar tool, allowing them to make well informed strategic decisions. 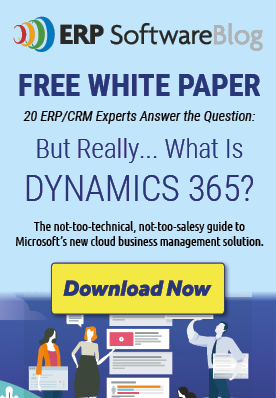 Have additional questions on how you may be able to integrate your existing GP system with either an existing or new subscription to Dynamics CRM/365? Don’t hesitate to reach out to us, we’d love to hear from you and discuss how we can help!